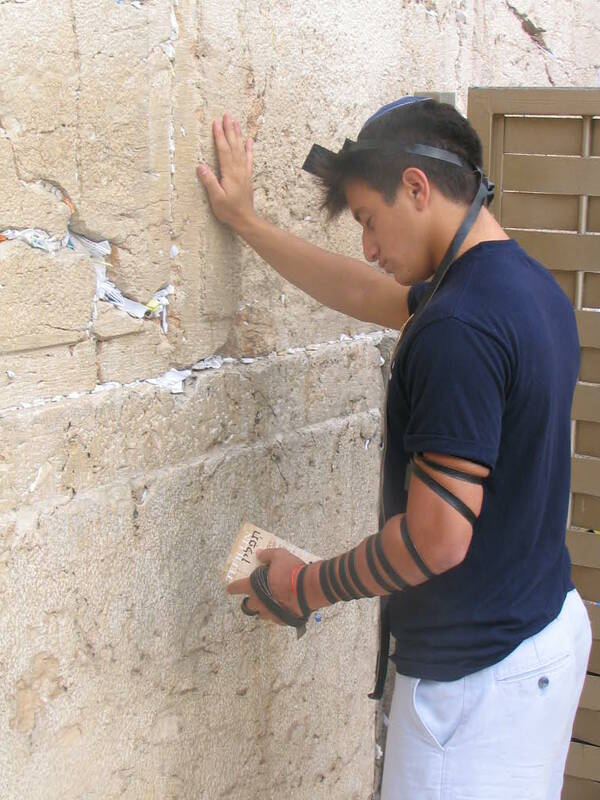 Praying at the Western Wall in Jerusalem, one of more than 100 holy sites that can be visited on a cruise. There are more than a hundred cruise itineraries that provide access to sacred places – worldwide sites of healing, guidance, and divine inspiration. The significance of these hallowed sites cannot be expressed in words or pictures – to understand their impact, the faithful must visit them in person, to experience healing, guidance or divine inspiration. While many of the world’s most sacred sites have historically been inaccessible to all but the hardiest of travelers – those who were able to make arduous overland journeys – the travel experts at CruiseCompete say travelers will find that today’s cruise itineraries make many of these locations surprisingly easy to visit. For more information, visit CruiseCompete’s full listing of sacred places that are accessible via cruise ship. For more information or assistance planning a future cruise or a cruisetour, visit CruiseCompete and try the Virtual Cruise Advisor. Find CruiseCompete’s “Sea Tales 2019 Family Cruise Travel Planner” at www.cruisecompete.com/resources.php. To see consumer feedback click here. CruiseCompete has been the premier online cruise marketplace since 2003 (see media praises). Consumers come to CruiseCompete to research and book cruise vacations. More than 1.5 million users have generated close to 4 million requests from consumers, and agents have delivered almost 17 million quotes since 2003. They can compare offers from trusted travel agents, see consumer reviews of agents and agencies responding, then contact travel agents directly for more information and to book cruises. CruiseCompete is a member of the Family Travel Association, a leading authority and resource for family travel information and is home to the Sea Tales 2018 Family Cruise Travel Planner at Travel Resources. CruiseCompete is an Iowa limited liability company, is not a travel agency or owned by a travel agency. During Vėlinės in Lithuania, ancient cemeteries are afloat with flowers and sinking in the sea of candles. People come to remember dead heroes and prominent poets of the nation, but they also don’t forget the unknown graves of dead people whose relatives might not be around anymore to light a candle. Looking for a unique experience this Halloween? Head to Lithuania, where Day of the Dead is celebrated by the whole nation, and the country offers unique glimpses into the world of crypts, crosses and ancient cemeteries. Take one of the special tours – visit old cemeteries of Vilnius, adrift in flowers and candles; take a tour of the underground crypts of Vilnius Cathedral; head to the old pagan Lithuanian capital, Kernave, and see pilkapiai – ancient cemeteries with no crosses; take excursions to the seaside and southern Lithuania, visit national parks and local cemeteries with UNESCO-recognized cross-making traditions; head to the extraordinary Hill of Crosses – a site of pilgrimage in northern Lithuania with over 200,000 of crosses of all shapes and sizes. The first crosses were put on the hill by the relatives of the dead rebels of 1831 revolt against the Russian tsar. On the first day of November, Lithuanian offices, shops and schools close, roads become packed with cars, families reunite, and everyone heads to one special place – the cemetery. Lithuanian cemeteries are already different from what you’d find in other countries – they rather resemble a botanical park, sinking in the sea of trees, adorned with flowers and beautiful tombstones. On November 1st, Lithuanians celebrate Vėlinės (vėlė means “soul” and ilgėtis means “to long”) – the Day of the Dead, which is not as joyful an occasion as El Dia de Los Muertos in Mexico, but rather the day of remembrance and reunion that bears deep traditions. Cemeteries become the place of family gatherings, where young and old arrange flowers and light candles. 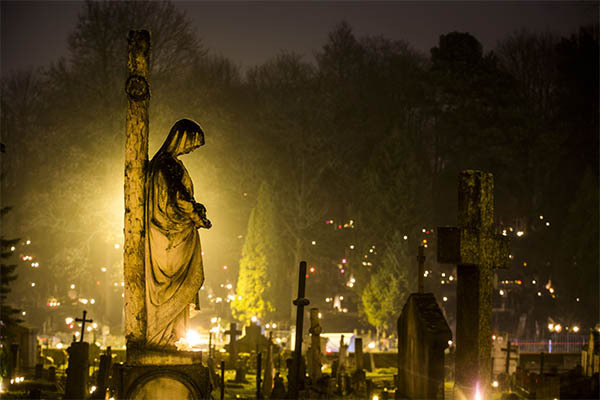 When the sun sets, the cemeteries become enchanting, alive and mysterious from the sea of flickering candlelights and the aroma of thousands of fresh flowers. When golden trees and low-hanging sun create special autumn atmosphere, it’s a perfect time to visit Lithuania and to get enchanted by the scenery and traditions, to explore some off-the-beaten track activities, and to see some old Lithuanian customs put into action. According to the old Lithuanian tradition, this is the time to remember the ancestors and to re-think one’s place in the world. When Lithuania finally accepted Christianity (last country to be “baptized” in Europe), pagan and Christian traditions blended into one over time, giving special significance and depth to the Lithuanian Day of the Dead. The Old Vilnius Cemeteries belong in the list of European historical cemetery heritage. There are three main cemeteries in Vilnius city center: the first one, Rasų Cemetery, was founded in 1796, and is the eternal home to famous Lithuanian poets, artists and politicians, such as the activist and folklorist Jonas Basanavicius, and composer and painter M.K. Ciurlionis. This was the first cemetery that was founded outside of the city, on a hill surrounded by old oak trees. The name of the place – Rasos – suggests this used to be an ancient pagan ceremony site. The Bernardine Cemetery was established in 1810 by the Bernardine monks of the the Church of St. Francis of Assisi. As most cemeteries in the city center, it was closed by the Soviets and remained mostly unchanged from that time, with burials allowed only in existing family graves. Antakalnis Cemetery is commonly referred to as the Military Cemetery. 12 of the 14 Soviet Union protest victims from 1991 TV tower attack are buried here, as well as the victims of Soviet Medininkai Massacre. Among other perished soldiers there are graves of Polish soldiers from 1919-20, Lithuanian, German and Russian soldiers who have fallen in World War I and thousands of French soldiers of Napoleon’s Army, whose remains were found in Vilnius and reburied in Antakalnis in 2001. During Vėlinės, these old cemeteries are afloat with flowers and sinking in the sea of candles – people come to remember the dead heroes or prominent poets of the nation, but they also don’t forget the unknown graves of dead people whose relatives might not be around anymore to light a candle. If you feel like venturing outside of Vilnius, Southern Lithuanian region of Dzukija and Lithuanian seaside will offer a special glimpse into the culture of Lithuanian cemeteries, with their distinctive crosses and breathtaking nature that surrounds them. The Lithuanian art of cross-making was recognized to be unique and added to the UNESCO World Heritage list. Since Lithuania was the last country of Europe to abandon paganism and convert to Catholicism in the 14th century, pagan and Catholic elements intertwine in Lithuanian crosses – which were forbidden by Tsarist Russia and the Soviet Union. Lithuania’s Hill of Crosses, located in the northern Lithuania, is a unique and enchanting place, with over 200,000 of crosses of every shape and size, and attracting thousands of Catholic pilgrims as well as curious tourists. People started leaving crosses on the hill after the 1831 uprising against the Russian tsar – relatives put crosses to commemorate dead rebels, since they had no bodies to bury. During Soviet occupation, the KGB bulldozed the hill twice – but today, the Hill of Crosses stands tall again as the symbol of resistance and faith. You can also find cemeteries in Lithuania that have no crosses – these are pre-Christian pilkapiai dating from 12-13th century – abandoned in the 14th century – but still reminding everyone of pagan Lithuania. The most prominent site of pilkapiai is in Kernave, whose first residents arrived in the 9th century BC, and which later became an important pagan city. Similarly, you wouldn’t find any crosses in the ethnic Jewish cemeteries, or the cemeteries of Lithuanian Turkic minorities – Tatars and Karaites. Vilnius in Love is a tour guide company that offers customizable and personalized tours across all regions of Lithuania. Hiring guides who are very well versed in local history, they are able to offer trips to unique destinations and rare attractions. Contact VilniusinLove.com to learn more. WILLIAMSBURG, Va.– Jamestown Settlement, a museum of 17th-century Virginia history and culture, will present an American Indian Intertribal Powwow on Saturday and Sunday, October 1 and 2, featuring song and dance by members of American Indian tribes, storytelling and a film presentation. A highlight of the weekend event will be a Saturday evening performance by folk artist Kevin Locke, a world-renowned Hoop Dancer, an indigenous Northern Plains flute player and storyteller. Locke, Native American Music Award winner for 2009 Record of the Year and National Endowment for the Arts Heritage Fellow, will perform traditional songs and original music from his 12 albums, most recently The First Flute, Open Circle, Keepers of the Dream and Dream Catcher, combining songs on flute with American Indian stories touching on the Lakota culture and sign language. 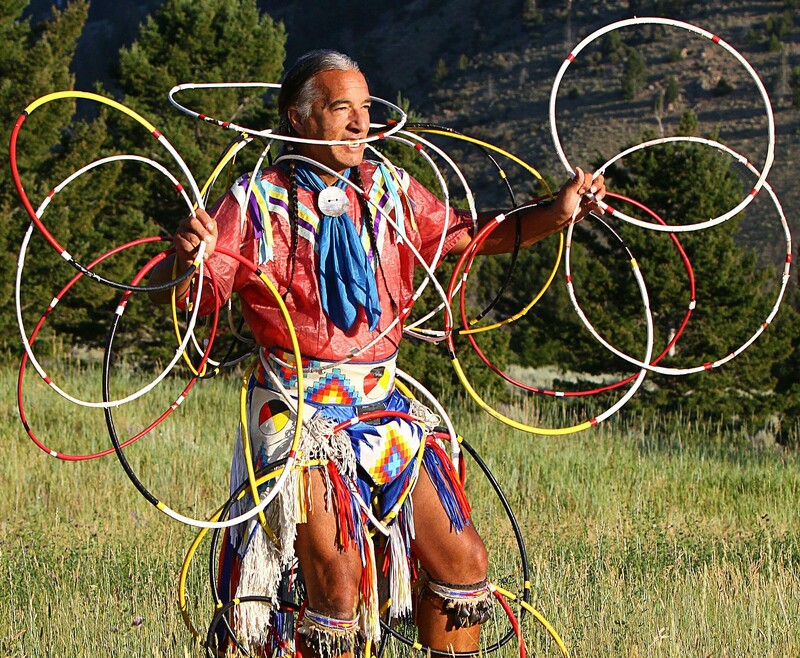 At the conclusion of the evening, accompanied by Powwow singers, Locke will perform a hoop dance, an athletic healing dance in which he uses 28 hoops to form various animals and shapes. Audience members will be selected to learn and take part in this traditional hoop dance. The evening concert begins at 6:30 p.m., and admission is $10 for adults and $5 for ages 6-12. As a Lakota and Anishinabe, Locke works with young people on American Indian reservations to ensure the survival and growth of the indigenous culture and shares the culture’s legacies with others during his world travels. Locke will offer flute workshops at 10 a.m. and 2 p.m. on Saturday and Sunday in which he will show children how to build and paint their own flute and teach them a song. Participants during the Saturday workshops will be invited to perform with Locke during the Saturday evening performance, and those participating in the Sunday workshops can take part in the Sunday daytime Powwow dancing event. Flute workshops require advance reservations and cost $40 per person on Saturday (includes museum admission to daytime event and evening concert) and $35 on Sunday (includes museum admission to daytime event). Each workshop, designed for ages 8 and older, is limited to 15 participants. A Grand Entry with a parade of dancers will take place at 12:30 p.m. each day in a dance circle on the museum mall, followed by an afternoon of singing and dancing until 4:30 p.m. Master of Ceremonies will be David White Buffalo, a member of the Sincagu band of the Lakota Nation, and Arena Director will be Clark Stewart of the Chickahominy Tribe. Among the featured singers will be Thunder Voices of the Lumbee, from Lumberton, N.C.; Zotigh Singers of the Kiowa, from Oklahoma; and The White Buffalo Singers of the Lakota, from Rosebud, S.D. Visitors can view the one-hour documentary film “Rising Voices” 10 a.m. and 12:30 and 3 p.m. each day to learn about the endangered indigenous language of the Lakota people at. The film is part of The Language Conservancy’s ongoing effort to preserve and revitalize languages in North America. Following the film, elders and first-language speakers from the Lakota in South Dakota and Crow in Montana will be on hand to discuss the film and facilitate children’s activities. Grace Ostrum of the Accohannock will present American Indian stories at 9:30 and 11:30 a.m. and 2:30 p.m. each day. A “Birds of Prey” program, featuring falcons and other raptors, will be presented on the museum mall by Eagle Pines Falconry at 11:45 a.m. each day of the event. Jamestown Settlement visitors also can enjoy the “Bartering for a Continent: How Anglo-Indian Trade Shaped America” special exhibition through December 10, exploring the importance of trade between American Indians and English colonists, from the founding of Jamestown through the American Revolution, and the role of Virginia in the development of a new world of exchange in goods and commodities across the North American continent. Powhatan Indians in the 17th century made baskets of bark, grasses and vines to carry items harvested on land and from waterways. Visitors can pre-register for a two-hour workshop at 10 a.m. and 2 p.m. October 1 and 2 to discover the process of making twined baskets and take it home. Workshops are $20 per person and limited to 15 participants. Jamestown Settlement features an introductory film, expansive exhibition galleries that chronicle the nation’s 17th-century beginnings in Virginia in the context of its Powhatan Indian, English and west central African cultures, and historical interpretation at outdoor re-creations of a Powhatan village, the three ships that brought America’s first permanent English colonists to Virginia in 1607, and a colonial fort. The Jamestown Settlement Special Exhibition, Bartering for a Continent: How Anglo-Indian Trade Shaped America, is on view June 4 – December 10, 2016. The American Indian Intertribal Powwow daytime event is included with admission: $17.00 for adults, $8.00 for ages 6 through 12, and children under 6 are free. Separate admission is required for the Saturday evening concert with Kevin Locke and advance reservations required for flute and basket workshops. Tickets are available at https://jyfemail.jyf.virginia.gov/eStore/. 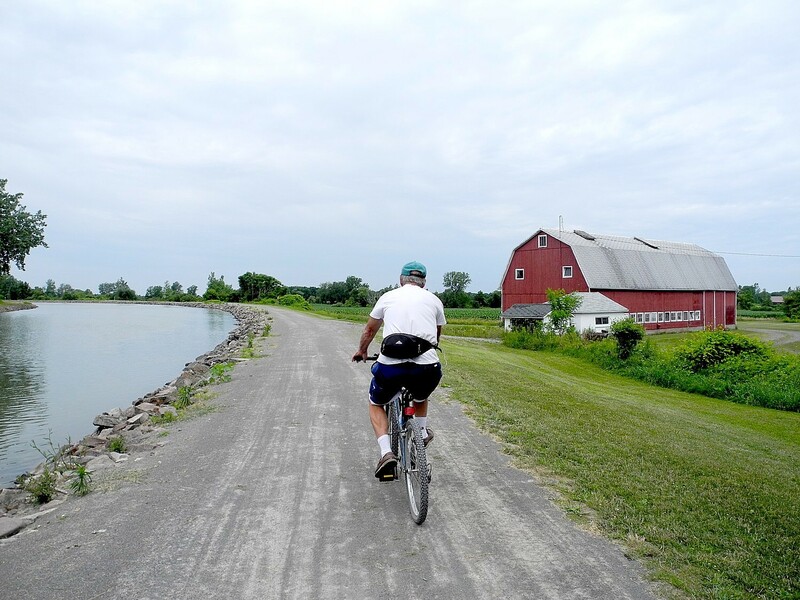 You can find out about bicycling along the Erie Canal tow paths at an online New York State Responsible Travel Guide which also offers itineraries © 2014 Karen Rubin/news-photos-features.com. 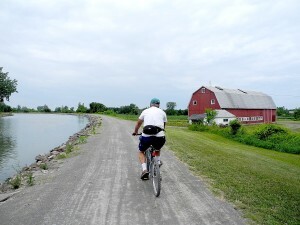 Have you ever thought to explore New York State’s Amish culture, or bike along the hundreds-of-miles long Erie Canal towpath? Eco-oriented travelers can discover such lesser known and authentic aspects of New York State at an extensive online guide to sustainable travel, along with bookable itineraries, at www.responsibletravel.com/holidays/new-york-state/travel-guide. The initiative, in conjunction with responsibletravel.com, makes New York one of the only U.S. destinations to promote sustainable tourism on such a large scale. The Responsible Travel Guide to New York State provides an overview of the culture, history and ecology of each of New York’s regions as well as practical information on public transportation, eco-friendly activities and accommodations. An easy-to-navigate format invites eco-oriented travelers to discover many lesser known and authentic aspects of New York State. Equally valuable as a planning tool, the guide links to other useful sites as well as a tour section that is constantly growing with a multitude of click-to-book New York itineraries. The New York State guide and itineraries were produced in partnership with United-Kingdom-based responsibletravel.com, a leading international travel organization and pioneer in sustainable and responsible tourism. A separate section of the tour operator’s website features a growing catalog of easy-to-book eco-tourism activities in every region of the state. The partnership and program reflect Governor Andrew Cuomo’s commitment to increasing tourism throughout New York, conserving the state’s unrivaled natural wonders and supporting local communities. The guide has been penned by Catherine Mack, an ecotourism expert and writer who has contributed to several ecotourism guidebooks as well as responsible-travel oriented articles for the National Geographic Traveller UK, The Irish Times, and other publications. New York’s strong commitment to conservation dates back more than a century to the ratification of the “Forever Wild” amendment to the State Constitution in 1894. The amendment mandates that state-owned and acquired forest preserve lands be “forever kept as wild forest lands.” New York’s Adirondack Park, the nation’s largest park outside of Alaska, is bigger than Yellowstone, Yosemite, Grand Canyon, Glacier and Great Smoky Mountains National Parks combined and is just one of the state’s many natural treasures. The original two preserves – the Catskill and Adirondack parks – have since expanded to more than 175 New York State Parks with activities such as fishing, hiking, mountain biking, swimming, kayaking, horseback riding, cultural presentations and historic re-enactments. For more New York State travel ideas, visit http://iloveny.com/.